Posted on Tuesday, June 4th, 2013 at 10:19 pm. Today in Boxing History: June 4, 1971 José Nápoles KO 4 Billy Backus, Inglewood. Regains World Welterweight Title. José ÁngelNápoles, nicknamed “Mantequilla” born April 13, 1940, is a Cuban boxer and world welterweight champion, who is frequently ranked as one of the greatest fighters of all time in that division. Nápoles fought out of Mexico where he was adopted as a national hero. 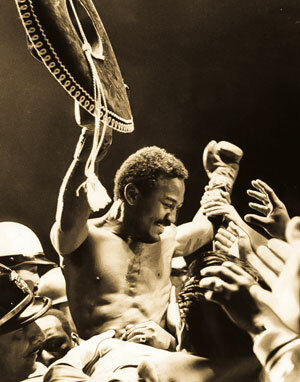 Named The Ring Fighter of the Year for 1969. 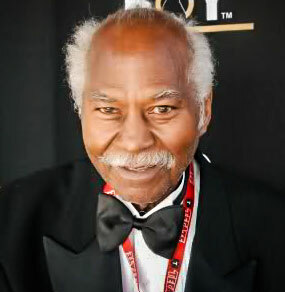 Inducted into the World Boxing Hall of Fame in 1984. Inducted into the International Boxing Hall of Fame in 1990. 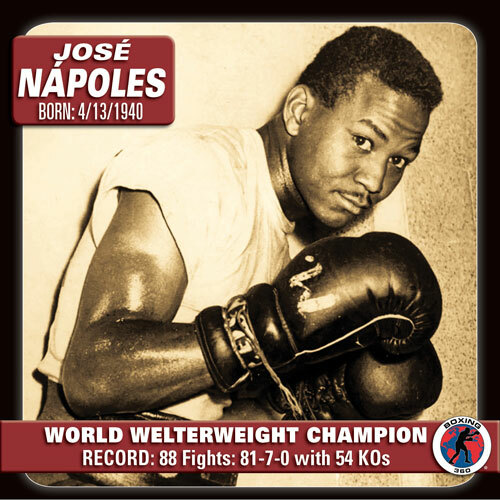 In 1999, the Associated Press named Nápoles the 4th greatest welterweight of the 20th century.